Meet an up-and-coming personal trainer who brings a strong background in collegiate strength training to athletes and everyday people alike! His time in college created a basis for his training procedures, but Ryan Welborn started building a resume all his own. 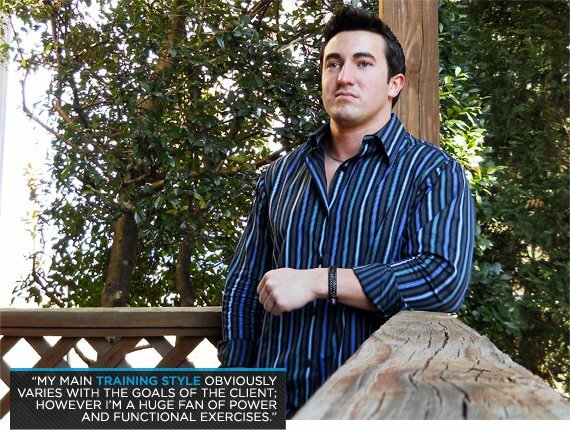 He took what he was taught and added his own variations to train his clients. See what it takes to become a personal trainer from a younger up-and-comer in the industry. You study, you practice, you coach, you train and then people will trust you enough to guide their goals. Ryan does it right, and that's why we honor him as the personal trainer of the month! I have been passionate about fitness and sports-performance since I became involved in sports in high school. I graduated from Appalachian State University with a Bachelor's Degree in Exercise Science, with the primary concentration in strength and conditioning. I interned with the ASU Football program as an assistant strength coach. During this internship I found that working with athletes was my main passion and I began to really appreciate the complexities of structured training programs for enhanced performance. After working as a personal trainer for a few years, I received a position as head strength and conditioning coach at the collegiate level, working with a variety of teams. While working as both a part-time trainer and full-time strength coach I decided to start my own training company and have the best of both worlds. Currently I work with a variety of clients, from high school and collegiate athletes to those training for bikini and fitness competitions to individuals who are simply trying to get in shape. I became a personal trainer in 2006 while working through my Bachelor's degree because I have always enjoyed working out and athletics. I got my CSCS soon after graduating and continued on from there. My main training style obviously varies with the goals of the client; however I'm a huge fan of power and functional exercises, especially with my athletes. I believe in active recovery and love throwing in plyometrics with even my non-athlete clients (once they've reached that level of course). I also like to apply information I pull from current scientific studies from a number of sources including the Journal of Strength & Conditioning Research. Yes, as I specialize in the realm of athletic improvement, I do not deal with clients needing to lose large amount of weight regularly. That being said, I am constantly surprised by the dramatic improvements of my clients. I have seen some of my softball player's T-Test times improve by up to 30 percent over a four-month period. Also, in a five-month period, one female client went from 178 pounds at 37 percent body fat to 125 pounds at 22 percent. I also regularly see clients lose 3-4 inches off their waist in the first two months of training. One of my most athletic clients regularly runs marathons and triathlons, and completed his first Iron Man last year. This same individual weighs 180 pounds and presses in the 700s for 10 on a standard leg press and repped out 1,010 pounds for 10 reps on a Cybex Hack Squat Leg Press just a few months after this Iron Man. It blows my mind that a long distance runner can still manage to push that weight. That's an impressive client! A 64-year-old client regularly completes muscular-endurance workouts involving combinations of exercises, such as squat-thrust/push-press, push-up/stability rows, and bear crawls, that 90 percent of my clients under 40 couldn't make it through. Even though I have taken college courses in sports nutrition and nutritional prescription, with the current laws in my state regarding prescribing diets I stay away from it. I give general guidelines and have my clients email me their dietary logs for me to critique. I also design workout (cardio, resistance, and flexibility training) programs for my clients to do in-between sessions, or when they travel. Overall the greatest mistakes I see are dietary ones, along with the fact that clients can convince themselves that a few sessions a week will have them losing a drastic amount of weight when they don't change their diet/lifestyle to accompany it. 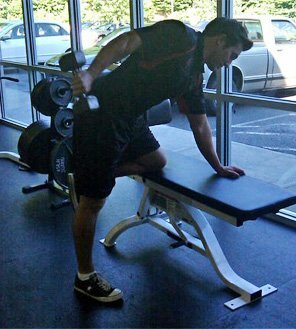 Also with my male clients, the primary mistake seems to be the lack of stretching to maintain and improve flexibility. As far as individual general mistakes go, the greatest I see are form-related, especially on the squat/deadlift with new clients. I have seen a lot of trainers allow themselves to get booked to the point that it compromises their ability to give each individual client the help and attention they are paying for. Most trainers, in my experience, are experts in correct form. However, proper exercise prescription—for instance, correct exercise order, which exercises to prescribe to improve some of the less common injuries that individuals face, and so on—seems to be lacking on a greater level with trainers. As mentioned above, with the current dietary laws and the fact that I am not a registered dietitian, I do not prescribe dietary plans, however I do critique client's diets and provide general advice. I do create training plans for most of my clients to follow by themselves. The exception: some of the higher level athletes who come in between team workouts where they only workout under my or their coaches supervision, and individuals whom I see during every workout. No, I only train clients according to their goals and sports. I am a firm believer in using sport-specific exercises, so in that instance I train a male football player differently than a female volleyball player or someone who participates in ballet. When I started training I followed the approach of the head strength and conditioning coach I interned under, as well as some of the more prominent professors in the exercise physiology department at my college. Since then I have adapted my own training style, involving a mixture of sport-specific exercises for my athletes, functional, preventative-rehabilitation, rehabilitation, compound and explosive exercises according to the individual's level and goals. I created a standard assessment, initially measuring body fat (Biometric Impedance) and weight, asking a few nutritional questions, a health questionnaire, and a few questions to determine the individual's fitness experience level. I follow that with a 30-45 minute assessment workout which varies according to the client's previous answers. When the individual purchases a session package, we begin the following workout with a three- or five-site body fat measurement, full body circumference measurements, a detailed nutritional questionnaire, and then we begin their first workout. I don't really have a preference. I tend to have more female clients statistically, but a big factor in that is the local college gym is considered cramped and not as ideal as the gym where I operate. Yes! Psychology plays such a huge roll in hitting one's fitness goals. I can't count how many times I have had clients call, text, or email me concerns about their diet or a workout they did on their own that day because work (or life in general) was stressful. I find an individual's diet suffers the most when stress sets in and that is usually what makes or breaks the person's fitness goal. I always hate when I have a client show up for a session already exhausted from a stressful day at work, to the point that it limits what they can do.